Collaboration is the latest buzzword in the business world. Businesses are deploying collaboration software, hiring community managers, and employees are being told to “work together.” Collaboration sounds like a good thing, but, do you know what effective collaboration looks like? Ephraim Freed, self-proclaimed Internet Nerd, defines collaboration as two or more people (team), working together (processes) toward shared goals (purpose.) In the workplace, collaboration often takes place in the form of a team, a network or a community. 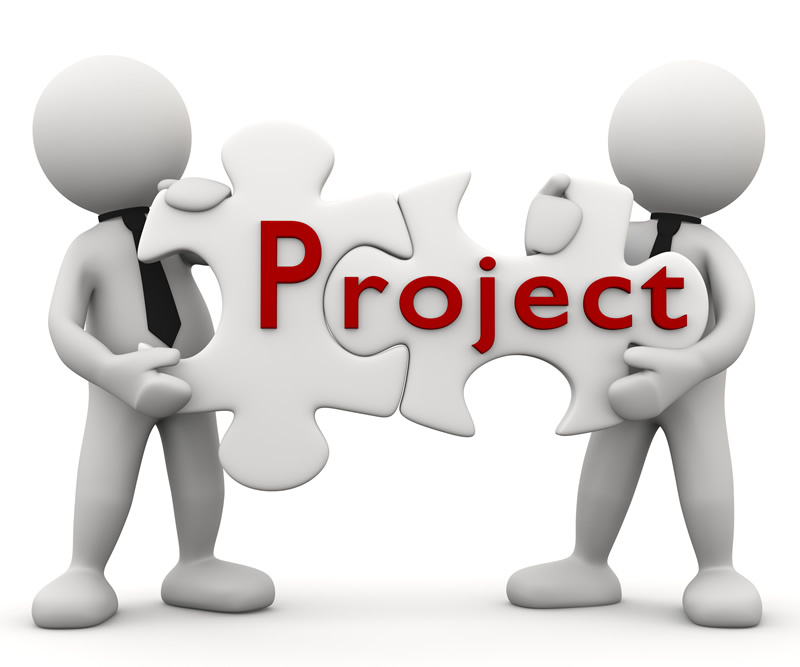 Teams include members that are focused on a joint goal or product, such as a presentation, completing a project, writing a report, or creating a new design or prototype. Networks are systems of people who share information and services usually around a common interest. Communities are made up of members with shared interests and who want to learn from each other, building and sharing knowledge, they are not necessarily focused on achieving a specific goal. In each of type of collaboration, new ideas are generated and explored. However, collaboration is not a one-time event nor is it easy to implement without practice. Collaboration is a process that continues to get better over time. The more people collaborate, the more significant their working relationships become and teams are better able to share and discuss ideas, leading to more successful results. According to this article in the Harvard Business Review, there’s a big difference between working together and truly collaborating with one another. Collaborative activity is the “secret sauce” that enables teams to come up with innovative new products or creative, buzz-worthy marketing campaigns. Chris Jones, an IT Strategy & Change Management consultant, agrees with the idea of a “secret sauce” of ingredients for driving effective collaboration. Jones’ recipe includes engagement, authenticity, respect, positivity, and focus. In the video below, Apple CEO Tim Cook describes his strategy for hiring people who will focus on collaboration and deliver the “magic” that happens when great minds come together. What is the best way to ensure that your team is successful collaborating? Sarah Maynard shares three tips for encouraging collaboration in the workplace; communicate, visualize and acknowledge. Communicate by sharing ideas with your coworkers, contacts, managers, and anyone who will listen. Use visuals to help communicate your ideas and clarify your ideas at the most simplistic level. Visuals are a great facilitator to aid strategic thinking and planning. Acknowledge the work that your team is doing. Give credit when a team member has contributed a good idea, hard work, or even good constructive criticism. Collaborative relationships work best when team members feel appreciated and valued. Collaboration is essential for organizational change whether the change involves creating new products, services, processes or a total reinvention of the organization. Success dictates that the individuals impacted by change be involved in the change from the very beginning. Visioning is a team sport. Today’s most successful leaders guide their organizations not through command and control, but through a shared purpose and vision. These leaders adopt and communicate a vision of the future that impels people beyond the boundaries and limits of the past. Diversity is crucial because it makes people to consider perspectives and possibilities that would otherwise be ignored. Group members who think alike or are trained in similar disciplines with similar bases of knowledge run the risk of becoming insular in their ideas. Instead of exploring alternatives, a confirmation bias takes over and members tend to reinforce one another’s predisposition. Relationships are critical to the outcome of any collaborative effort. Collaboration is dependent upon well-developed personal relationships among participants. Trust is the glue that keeps it all together. Trust is the belief or confidence that one party has in the reliability, integrity and honesty of another party. Finally, don’t forget that your body language matters. Do you encourage your team to collaborate? What tips can you share to help others lead their teams to work better together? Post a comment with your ideas! Next postMarketing: Budget Necessity or Budget Buster?